The US version works great here in Sweden and the entire Europe, Region Free Confirmed! Works fine both on PS3 and Home theater systems. The Teenage Mutant Ninja Turtles return in an all-new CGI action adventure, written and directed by Kevin Munroe. After the defeat of their old arch nemesis, The Shredder, the Turtles have grown apart as a family. Struggling to keep them together, their rat sensei, Splinter (Mako), becomes worried when strange things begin to brew in New York City. Tech-industrialist Maximillian J. Winters (Patrick Stewart) is raising up an army of ancient monsters, and only one super-ninja fighting team can stop them-- Leonardo (James Arnold Taylor), Michelangelo (Mikey Kelley), Donatello (Mitchell Whitfield) and Raphael (Nolan North)! 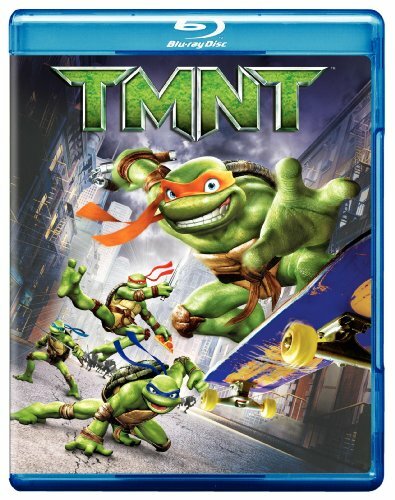 With the help of old allies April O'Neil (Sarah Michelle Gellar) and Casey Jones (Chris Evans), the Turtles are in for the fight of their lives as they once again must face the mysterious Foot Clan, who have put their own ninja skills behind Winters' endeavors.